Mark Your Calendar: World Kindness Day Coming Soon! Hmmm, what if we all stepped out of our comfort zones just a little to be kind to someone else? I have an idea for my neighbors and yes, it makes me step out of my comfort zone. Lots fun ideas can be found here if you need a little inspiration. Thanks for the reminder. This needs to be on my calendar! We sure need more of that these days! Thanks for reminding us! Hope you enjoy your weekend...lots of wind here today! It is such a simple thing to be kind.....and so overlooked many times! Didn't know we had such a day but what a lovely idea! 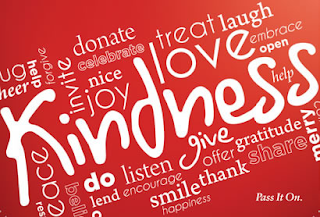 First time I hear about World Kindness Day, love the idea. Thanks for sharing and thank you for stopping by for a visit and sweet comment. Hope you have a wonderful weekend. I just found your blog and I am hooked. You have a delightful site. Oh I love it!!! Thanks for sharing Stacey. I'm going to check out the link for some fun ideas. I didn't know their was a special day on the calendar for this! The problem is that others may not know it either. Too bad we have to have a specific day to be kind to each other huh? We should practice that every day.